Back in 2016 we had a referendum – should we stay in an increasingly federal EU or had the time now come to part company with our European colleagues? 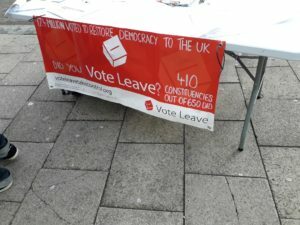 The campaign arguments revolved, mainly, around immigration (which at the time was still growing), the European Court of Justice (which had overruled the UK Supreme Court in several high-profile cases) and the much-quoted £350 million a week that the Europeans were taking from us. There were, of course, other less headlined issues, for example both farmers and fishermen had issues with EU policy in their respective industries. For better or worse, we voted to come out and it was going to be easy: we would just say goodbye, put up the ‘no entry’ sign to potential immigrants, make our own laws without interference from johnny foreigner and spend the £350 million on more worthwhile causes such as the NHS. Or so we were led to believe. 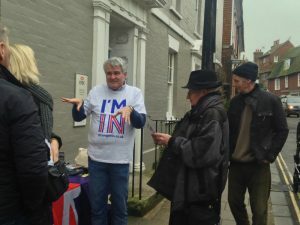 It was never going to be as simple as that, but even our politicians cannot have realised quite how difficult and contentious the exit process would be, resulting in the country – and even our little town of Rye – being more divided and entrenched in our opinions than we ever were before the referendum. Not helped, of course by politicians (and isn’t it interesting how many has-beens, never-will-bes and general no-hopers among them have been turning up on our radios and televisions ready to spout their, often poorly informed, views and gain their 15 minutes – or seconds – of fame). The prime minister, whoever it might have been, was always going to be on a hiding to nothing. Any negotiated deal – whether from Mrs May, Mr Corbyn or anyone else would have been unlikely to have gained overwhelming support from many of the closed – and frankly ignorant – minds of many MPs who have, themselves, been shown to have nothing in the way of alternatives to offer. As this is being written, the prime minister is in Brussels with other EU leaders asking for an extension to the original leave deadline of March 29. But what is the deal that she has negotiated that is apparently so hateful to some of our representatives in Parliament? It is wrapped up in many hundreds of pages of chapters, paragraphs, clauses and sub clauses, but, essentially it comes down to this: It guarantees the rights of UK citizens currently living in the 27 EU states as well as European nationals in Britain, it settles the UK’s outstanding liabilities to Brussels budgets for a payment of around £39 billion (up to £100 billion had been suggested by some, in the early stages) and it takes Britain out of the EU single market and customs union, the common agriculture and fisheries policies and the jurisdiction of the European Court of Justice. There will then be a 21 month transition period during which the UK/EU future relationship would be established. But, hang on an minute, isn’t that more or less what the majority voted for in the referendum? So what’s the problem? The problem, if we leave out party politics, is, and not for the first time in history (albeit, often Britain’s own fault), Ireland. If we leave the EU, and therefore the customs union, there will need to be customs checks at the Irish border. Because of the sensitive situation in that part of the world, this is not acceptable to either side. But to avoid checks, we need to be in the customs union which in turn means allowing the EU a degree of control over our laws and also immigration – exactly what the referendum majority voted against. This is what is referred to as ‘the backstop’ which, in theory means that, if no solution is found, the 21 month transition period could be extended for ever so that the UK never actually leaves the EU. There is surely a solution that can be found despite not only some of our own MPs, but also the EU appearing remarkably obstinate. We should not be surprised at the EU’s attitude. They, after all are only following the thinking of Voltaire who satirising the death by firing squad of the British Admiral Byng in 1757, “Pour encourager les autres”. The EU have no desire to make it seem easy for the UK and thereby give encouragement to a few other countries who are also becoming disillusioned with their EU membership. So what is the answer? Perhaps we should follow the example of the Vatican at the election of a new pope: command all 650 MPs to attend the Commons then lock the doors and keep them locked until a puff of white smoke from a chimney indicates they have finally reached a solution. It seems to this writer that, whatever our political affiliations and regardless of how we voted in the referendum, if we believe in democracy we should, for the moment at least, support the prime minister in her battle against her opponents at home, make our views known to our MPs and let’s, for heaven’s sake, get the job done. After that, if we still want to, we can discuss the future of our leaders. Image Credits: Rye News library, Heidi Foster, Seana Lanigan. I think as Farage tweets yesterday ‘No Deal Brexit is gaining support. It would mean that we can get on with the rest of our lives.’ says it all. Get on with our lives? This man and his Brexiteers have made the UK into an insular, xenophobic country sneered at by the rest of the world. Who would ever have thought that here we are, three years later, and the week before we leave the EU, it’s the 27 countries on Europe’s mainland who are in control of the destiny of these islands, and not the Parliament we entrusted to deliver our freedom…. If this country is being ‘sneered at’ by the ‘rest of the world’, surely it is the result of the deadlock fomented by those who refused to accept the result of the referendum? Had the government (run by a remainer, surrounded by other remainers) carried out the instructions of the majority, as was we were promised by David Cameron, there would have been no deadlock. The delay is the work of the remain camp and is no accident. As for the tired old accusation of ‘xenophobia’, what is xenophobic about wanting to exist on the same basis as almost every other country in the world? Are Japan, India or Costa Rica ‘xenophobic’ because they prefer to govern themselves? Finally, wan’t it Mrs May herself who repeatedly told us ‘no deal is better than a bad deal?’. That may have been have been a rare glimmer of insight from her. Perhaps you’ve forgotten the change in attitude to Eastern European’s following the referendum? Even May knows that ‘no deal’ would be catastrophic and have a serious effect on our economy. People like Farage and Rees-Mogg only stand to gain from it. How odd that a referendum with a turnout of just 42.2% rejected AV was accepted by all. The EU referendum turnout 72.12% – the biggest democratic exercise ever in our history is rejected by many devotees of the EU. Those who voted Leave did so to restore sovereignty and democracy. The fury of the anti democrats demonstrates how right we were. Quite how a desire to rejoin the 7.15 billion people who are not members of the EU is “Insular” escapes me. How wishing to embrace the world and escape a protectionist bloc is “Xenophobic” also defies reason. The issue is a simple one. The EU is determined, by 2025, to become a fully fledged sovereign state. I have never heard any supporter of the EU explain why that is a good idea. I have never heard a rational explanation as to why the Euro, introduced as a way to force political integration, is a good idea. Certainly those suffering zero growth and massive unemployment might reasonably question why they were not democratically consulted. And that is the nub of this issue. Either one believes in democracy or one does not. All the petitions and scares in the world do not alter that. The EU has a consistent record of ignoring democratic decisions it does not want. It has a consistent record of bullying and salami slicing its way to the ultimate goal. If that is what people want – so be it, but shall we at least have some honesty. Will those who disagree with democracy please state plainly what it is the want in its stead? The problem is Ireland. I’ve heard it all now! I think Guy Fawkes had the right idea. Not since the miners strike,for those that remember, have we seen family and friends,at each others throats over Brexit, whatever lies told by both sides, by left and right wing press,by biased corporations, never has there been so much bitterness by our elected representatives, who most are in denial, and are playing a dangerous game, and will be remembered,and called to account,at the next general election. Given that most MPs could not find their nose when standing in front of a mirror, can I float a new idea? Brexit is apparently about ‘taking back control’, about giving these same short-termist, opportunist, tribal people even more responsibility over our lives. Can I now suggest the following: The UK hands over full control over these sceptered isles to the European Parliament. The Houses of Parliament would be converted into a fancy hotel, incorporating a museum to Failed Politics in That Place. The UK would be run by an efficient, considerate, properly democratically elected parliament and we would save ourselves trillions of pounds in the process. What’s there not to like about that? I assume you have now removed your tongue from your cheek? Sadly the EU’s record on running anything except their expenses leaves much to be desired. The real answer to this mess is a re-alignment in UK politics. To achieve that we need to all drop our tribal affiliations and vote for a person. Of course that means trusting that someone who say, “I’m a democrat,” actually means it rather than what most of them mean which is: “Have I bamboozled you into voting for me?” Many are now saying that they will abstain rather than vote for those they feel cheated them. That is so so wrong. Acquiescing to a dictatorship like that is a tragedy that would haunt all for generations. I think Michael Wood has expressed the issues very well. Nobody quite knows what it is about the EU that is so uniquely attractive to Remain supporters. Having worked in 1972 on the accession of the UK to the EEC in 1973, and over my professional life worked on many Council of Europe and EU funded projects in almost 20 countries, I fear that some people on both sides confuse the EU 27/28 member states with Europe as a whole which is somewhat larger; the Council of Europe has 50 participating states. The post-war history of European organizations is set out on many websites; most people know that the EU emerged from the original European Coal and Steel Community, designed to prevent more wars over resources. 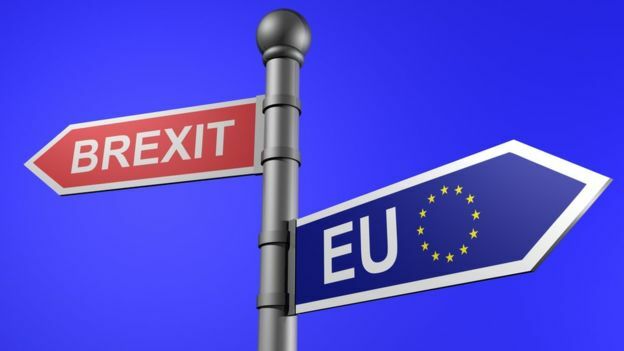 What I think (I’m not really sure) the Remain supporters want is to keep the UK in a supra-national, some say federal, structure which as all the EEC, subsequently EU, Treaty preambles say since 1956, is promoting ‘ever closer union’ to be achieved within the next decade or so. Neither Harold Wilson in 1975, nor successive PMs up to David Cameron, managed to get us exempted from ‘ever closer union.’ There are other ways to keep us close to Europe as a whole without being part of the EU. Arguably it would have been better to stay in EFTA, which the UK founded before the EEC was created, and which does not have a supranational political structure leading to ‘ever closer union.’ In my opinion, the UK should try to return to membership of EFTA and thence through the EEA maintain a close and friendly relationship with the EU while being open to the rest of Europe and the world. But I would be interested to know why the Remain side presses only for EU membership (and therefore that recurring phrase ‘ever closer union’) as opposed to other arrangements which all could support.